POLYRACK is your technological systems partner with focus on modified and customized electronic packaging solutions. 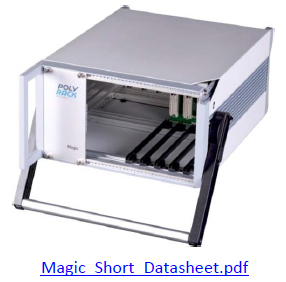 POLYRACK offers a complete line of standard, system enclosures, designed to house small form factor embedded boards, to VME/CompactPCI systems. 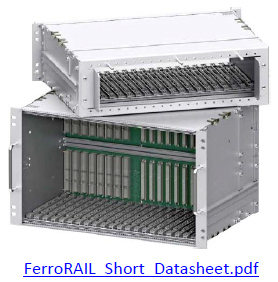 POLYRACK provides cases for the most demanding applications, whether size constraints is a key factor, or you require IP65/67, along with EMI shielding, we have the solution. POLYRACK supplies a complete offering of subracks designed to meet any application, from cost effective solutions to rugged subracks capable of withstanding high shock and vibration. 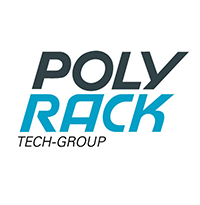 POLYRACK Tech-Group offers an innovative and comprehensive range of products from standard, modified standard to customer-specific solutions in different segments such as mechanics, electronics, system technology, plastics and surface treatment. Integrys is the trusted source of embedded computing, imaging technology, engineering know-how and local support for aerospace, defence, healthcare, manufacturing, public safety, telecom and transportation. Over 50 years of experience gives us the strategic insight and technical savvy to help you succeed. Integrys is solution-focused. We work closely with leading manufacturers and actively seek ways to migrate proven transformational technology to new sectors. When it comes to the technologies that drive your business, we think ahead—so you don’t have to. The industry’s lighter, compact and ruggedized network solutions are also coming with more cyber protections. 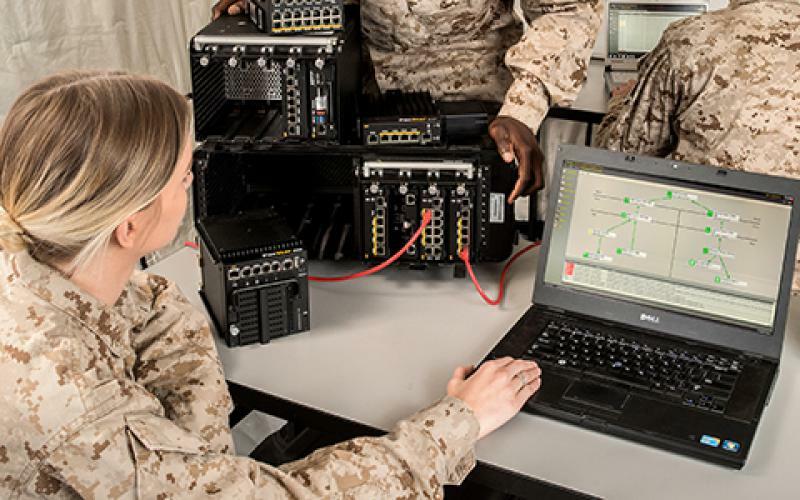 As the military, including the U.S. Army, works to update network command systems, size, weight, power and capability improvements are central, especially when paired with cybersecurity protections. The network improvements provide key flexibility and operations for tactical missions and command posts. 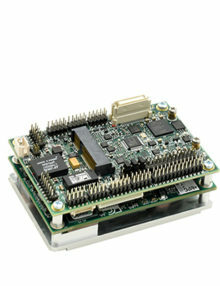 In addition, Fidelis Cybersecurity and Pacific Star Communications (PacStar) have teamed up, pairing Fidelis’ Cybersecurity System with PacStar’s software and hardware, including PacStar’s 451 server module, 455 tactical convergence module, 400-Series routing and switching modules, and associated software. 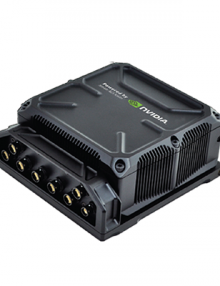 The companies claim that the paired technologies provide automated detection and response capabilities in a reduced size, weight and power form for secure military tactical networks. According to Fidelis, the cybersecurity platform includes pre-positioned cyber sensors and deployable, so-called hunt mission kits. The technology is meant to protect in-theater communications and executive communications. The system is managed by PacStar’s IQ-Core software, a graphical user interface designed to provide configuration, management and troubleshooting assistance, PacStar said. The interface allows visibility into the system for remote cyber defenders, allowing them to see real-time threats and use advanced analytics to support warfighters. The automated detection and validation of alerts also helps by offering incident response, the companies said. 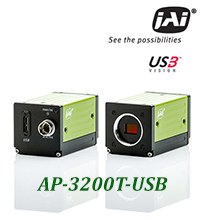 Integrys presents the new Apex AP-3200T-USB. 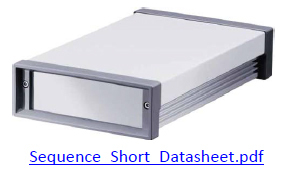 Multi-sensor 3-CMOS prism-based area scan camera with exceptionally accurate color image data. At 38.3fps the AP-3200T is the fastest 3 chip CMOS area camera. JAI is a leading provider of high-quality industrial cameras for the machine vision, manufacturing, military, aerospace, homeland security, medical and scientific markets. 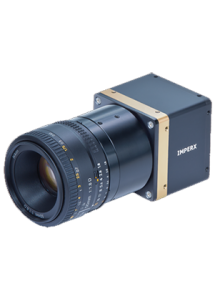 JAI manufactures one of the broadest camera offerings of any industrial camera manufacturer in the world, offering high performance features and a wide range of advanced imaging capabilities. JAI cameras span both CCD and CMOS technologies, spatial resolutions from VGA to multi-megapixel, progressive scan and interlaced formats, and sensitivity to light levels as low as .00001 lux. Cameras include both monochrome and color capabilities, real-time image capture at rates from 8 fps to 200 fps, and a wide variety of physical interfaces including traditional analog video, as well as Camera Link™ and the new GigE Vision gigabit Ethernet interface. JAI has over 40 years of experience supplying cameras to support some of the world’s most demanding imaging applications. The company remains committed to providing innovative, high quality products to help companies of all sizes successfully meet their vision technology challenges. Integrys presents the new 12MP, 10GigE 335fps VQXT camera from Baumer. This camera comes equipped with an ams (CMOSIS) CMV12000 sensor, APS-C CMOS global shutter, at a resolution of 4096×3068. The camera has an exposure time of 0.01 to 1000 ms and a pixel size of 5.5 x 5.5 μm. Click here for more information on the monochrome or colour model. An international family-owned business with a passion for sensor technology, encoders, measuring instruments and components for automated image processing. Baumer operates in more than 60 countries. Thus we are able to provide you with competent assistance, anytime and anywhere. With our values we create a thread that runs from development through production to contact with our customers. And of course in our everyday life together in the company. 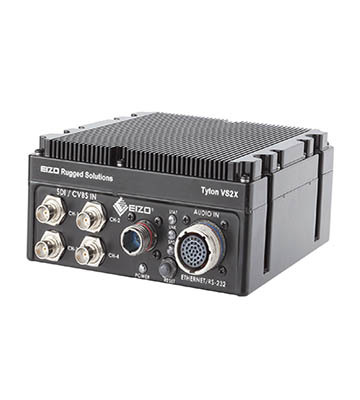 EIZO Rugged Solutions Inc., has been developing graphics and video solutions for air traffic control, military, and embedded applications for over 30 years. The ISO9001:2008 certified company offers a range of commercial off-the-shelf (COTS) products, including graphics processors targeted at GPGPU applications, video input solutions, video compression and streaming boards, imaging cards, recording solutions and software libraries. The company designs and manufactures its core MIL-STD-810 graphics and video products in the US from its facility in Altamonte Springs, Florida and serves customers in defense, security, aerospace, avionics, transportation, maritime, and industrial markets. All product names are trademarks or registered trademarks of their respective companies. EIZO is a registered trademark of EIZO Corporation. Mississauga, ON July 6th, 2017 – Integrys is committed to bringing clients the newest in technological innovation and is constantly focused on providing the best service. 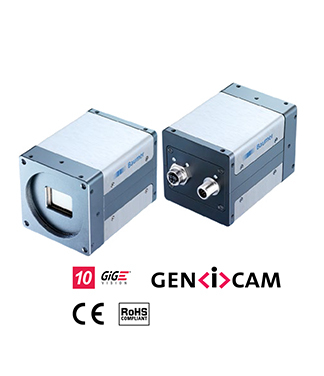 We are thus excited to inform our clients about the further expanded Baumer CX Series of industrial cameras, which now includes the VCXU-123M, the smallest 12 megapixel global shutter CMOS camera. 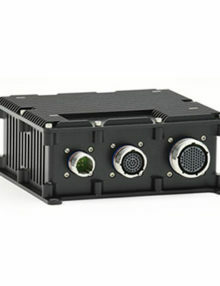 The VCXU-123M, which measures just 29 x 29 x 38 mm and has a USB 3.0 interface, is ideal for applications with demanding requirements for high-definition quality in image acquisition at high throughput, such as surface inspection, 2D/3D measuring technology, packaging inspection, and traffic monitoring. 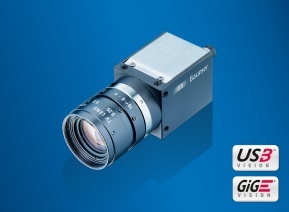 The VCXU-123M features the monochrome Sony Pregius IMX253 global shutter CMOS image sensor, a 12 megapixel sensor with a 3.45 µm pixel size that can achieve frame rates of 31 fps. The VCXU-123M also offers low dark noise and a 71 dB dynamic range, as well as an M3 mount, and 458 MB internal buffer. The 29 x 29 x 38 mm dimensions of the camera with M3 mounting capabilities at each side of the square housing make installation easy with maximum flexibility, even in narrow installation environments. Camera events and the integrated image memory ensure synchronized process control for long-term stability in image evaluation. 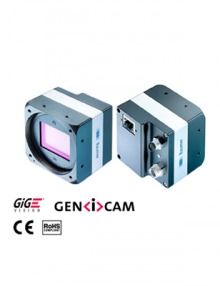 Thanks to the efficient thermal concept, the cameras endure up to 65 °C housing temperature for high application versatility at excellent image quality. 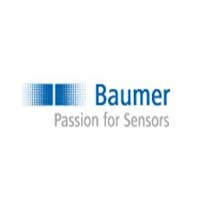 Baumer is an international family-owned business with a passion for sensor technology, encoders, measuring instruments and components for automated image processing. Baumer operates in more than 60 countries. Thus we are able to provide you with competent assistance, anytime and anywhere. Mississauga, ON July 6th, 2017 – Integrys is committed to bringing clients the newest in technological innovation and is constantly focused on providing the best service. 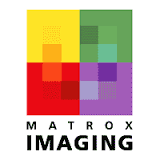 We are thus excited to inform our clients about Matrox Design Assistant 5, from Matrox Imaging. Matrox Design Assistant 5 brings vision application development to a whole new level, with enhanced functionality that improves the developer experience and makes design more intuitive and straightforward than ever. 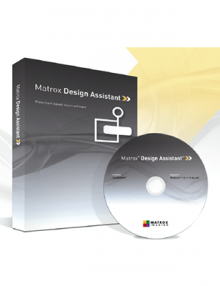 Matrox Design Assistant is an integrated development environment (IDE) where vision applications are created by constructing an intuitive flowchart instead of writing traditional program code. In addition to building a flowchart, the IDE enables users to directly design a graphical operator interface for the application. 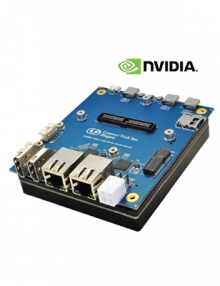 Since Design Assistant is hardware independent, you can choose any computer with GigE Vision® or USB3 Vision™ cameras and get the processing power you need. For a free trial of Matrox Design Assistant 5, contact Wayne Mason (see below). 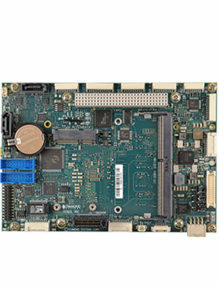 Matrox Imaging is a leading designer and manufacturer of PC-based hardware and software for machine We connect Technology and Innovation. Products include device-independent software development tools, standard frame grabbers, real-time vision processors and integrated imaging platforms. 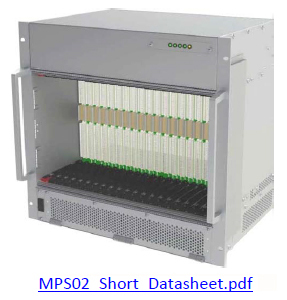 Integrys is pleased to announce the release in Canada of the “King Cobra” S2U, a major breakthrough in server technology from General Micro Systems (GMS). 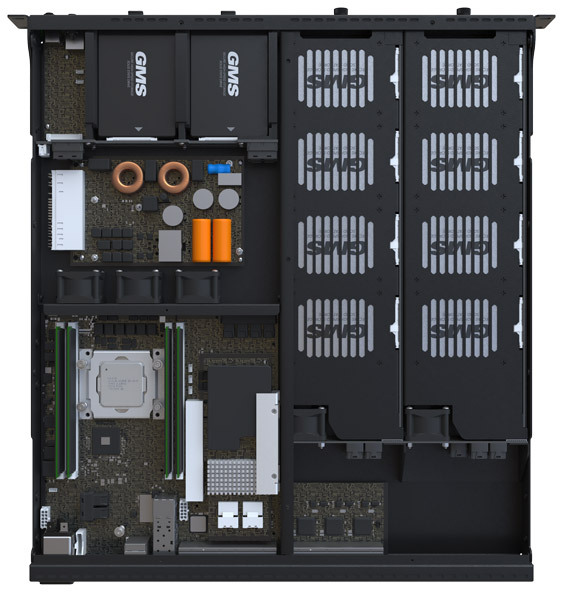 It is the smallest, fastest server on the market, with more I/O performance and storage functionality than any other server. 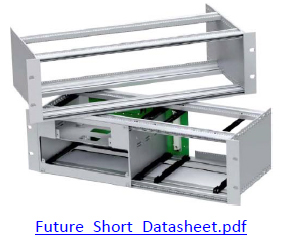 It replaces several 1U/2U servers, switches/routers, RAID controllers, and Auxiliary Power Units (APU) with a single 2U, 17-inch deep rack mountable (or freestanding) enclosure. 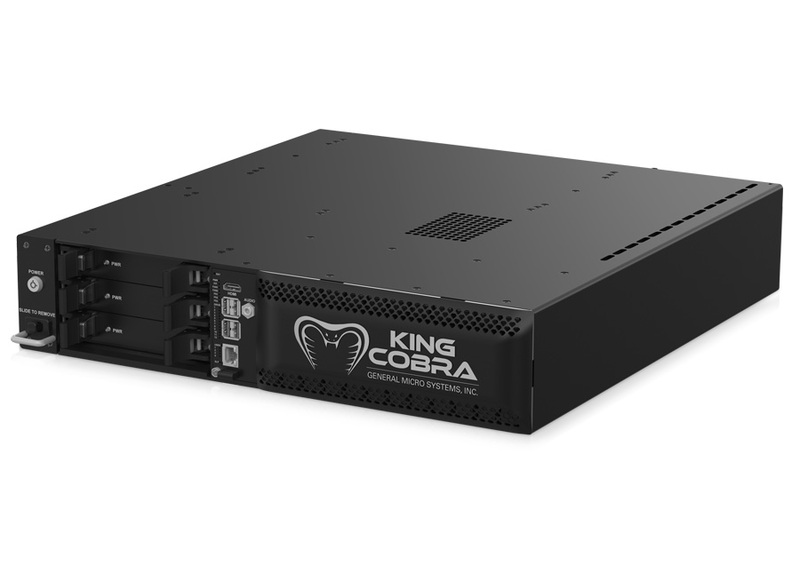 The King Cobra provides the highest SWaP efficiency in the server market while providing 100% LRU capability for minimum downtime. The S2U is targeted for applications where ruggedness, size, power, and serviceability are key factors. Only 2U high, the S2U replaces at least four other 2U servers if you count processor power, Ethernet ports, I/O adaptation, and power supplies. 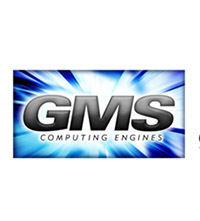 Contact Integrys at clientservice@integrys.com or 1-888-509-8455 to learn more about GMS products.